Vitamin A levels indicate the linkages between the environment, animals and humans. Animals interconnect with the environment for instance through their fodder, and humans expand this chain as they consume animal source food like milk. An investigation showed that milk from cows grazing on green pastures had higher β-carotene (the precursor of vitamin A) levels and the pastoralist consumers of such milk had fewer deficiencies in vitamin A than those drinking milk from livestock grazing on less green pastures (Zinsstag et al. 2002). 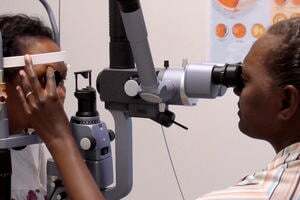 Another study found a high prevalence of moderate serum retinol (vitamin A) deficiency in settled children younger than five years at the end of the rainy season, while during the same period, it was as low as 1% among nomadic children (Bechir et al. 2012). Given the dependence on green pastures, vitamin A in livestock milk, and seasonality, pastoralists showed strong seasonal variation of vitamin A levels in their blood (Crump 2014). Milk, as the primary source of vitamin A for pastoralists, is insufficient. Serum retinol deficiencies were high, up to 32% in the cold season, among pastoralists (Bechir 2012; Crump 2014). Low fruit and vegetable consumption among pastoralists was seen in several studies in West and East Africa (Holter 1988), as well as poorer pastoral households in Central Asia and Mongolia (Save the children 2013). The above linkage is summarised and illustrated by data from the MSc thesis of Lisa Crump (Crump 2014). 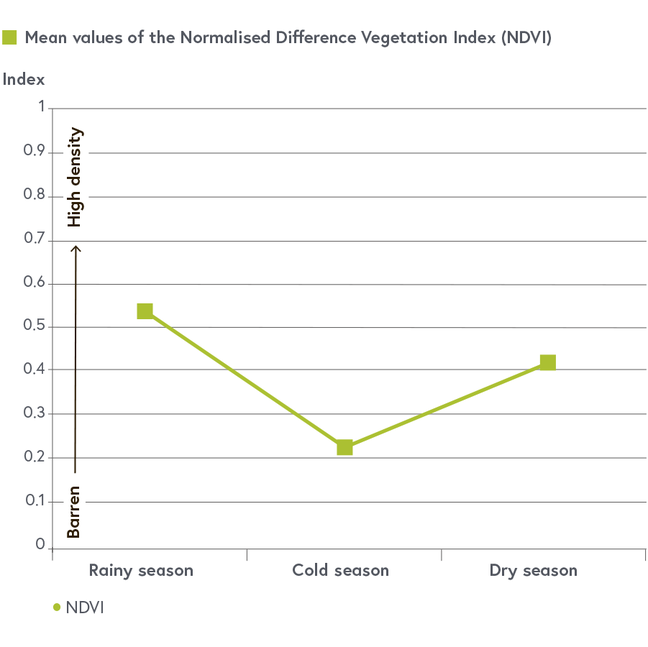 Chart one shows the variation of the vegetation index from barren to high density for the grazed pastures near the shore of Lake Chad. High density in this context means green for the past years of assessment in the same period. The lowest index is seen in the cold season. 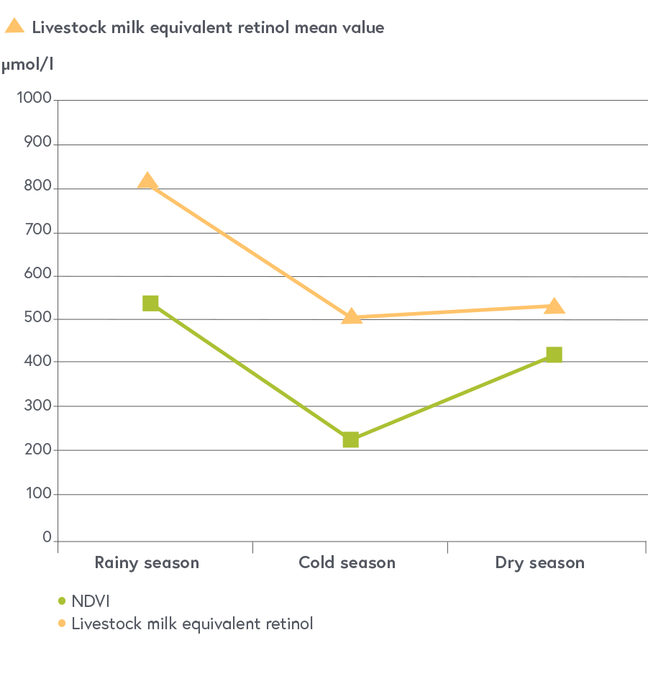 Chart two adds the mean values of milk vitamin A (composed of both the precursor β-carotene and retinol). As expected, the lowest values are again seen in the cold season, since the livestock take the β-carotene from green feed and release it in their milk. 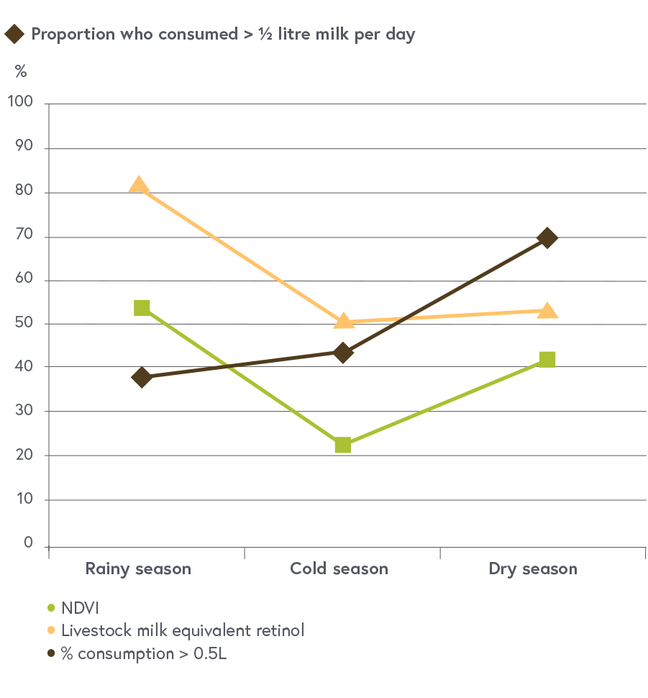 Chart three shows the proportion of pastoralists who had a daily milk consumption of more than 0.5 liters. This is highest in the dry season when they put less milk aside for butter production or for selling fresh milk on the market, and instead consume it when other food becomes scarce. 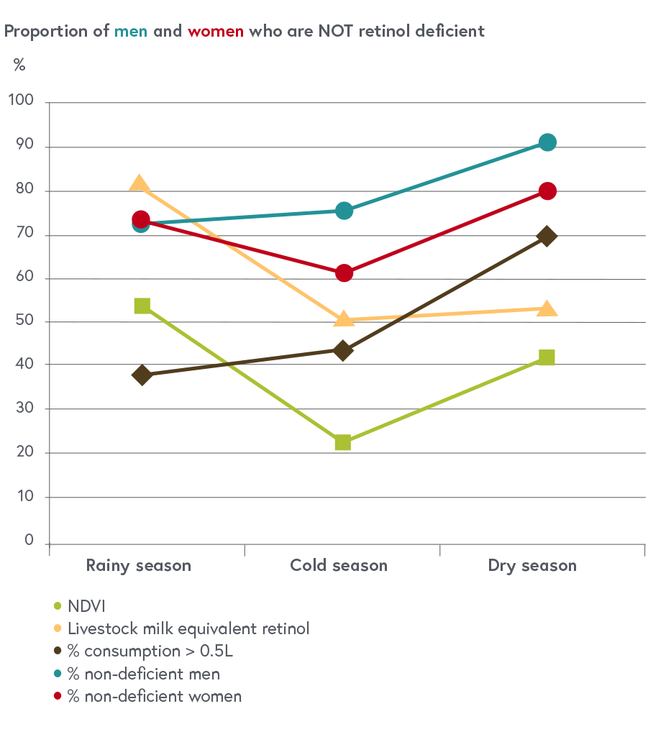 Chart four shows how the human vitamin A levels of pastoralists depend on the quality of milk consumed (expressed by the level of vitamin A in milk) and the quantity they consumed. You see that the outcome in people can be rather predictable once you know their customs and what they consume. Zinsstag, J. et al. (2002). 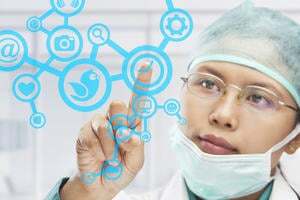 Serum Retinol of Chadian Nomadic Pastoralist Women in Relation to their Livestocks’ Milk Retinol and Beta-carotene Content, in: International Journal for Vitamin and Nutrition Research 72(4), 221-228. Bechir, M. et al. (2012). Retinol Assessment Among Women and Children in Sahelian Mobile Pastoralists, in: EcoHealth 9, 113-121. Crump, L. (2014). The Seasonal Dynamics of Human Retinol Status and its Environmental Determinants in Sahelian Mobile Pastoralists. MSc thesis. University of Basel. Holter, U. (1988). Food Habits of Camel Nomads in the North West Sudan: Food Habits and Foodstuffs, in: Ecology of Food and Nutrition 21, 1-15. Save the Children (2013). Shifting Livelihoods: Trends of Pastoralist Drop-Out and Rural to Urban Migration in Mongolia.